If you use vehicles in your business, one thing is clear: You need commercial auto insurance in Prescott. 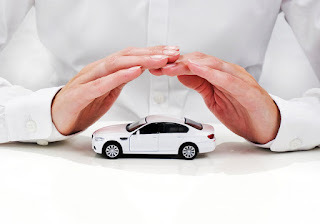 Mosaic Insurance reminds business owners that it is important to check for adequate coverage on any vehicles owned by your business or any vehicles used by your employees to perform business tasks. While running a company errand in his own car, your employee rear-ends another vehicle. Injuries aren’t severe, but several people are hurt — and your employee’s low liability limits aren’t enough to cover medical costs. You’re on your way to a business lunch when an uninsured driver runs a red light and hits your car. The impact is severe enough to fracture your arm. Your business may be thriving. You might be a contractor driving a top-of-the-line pickup. Or perhaps your computer repair shop has achieved its goal of a new fleet of service vans. Maybe social media raves for your Thai lunches has created the demand for a second food truck. What if I am using my personal vehicle for some business purposes? When driving is an important part of your business activities, a commercial policy is highly recommended. Mosaic Insurance hopes these reminders for why business owners should check for adequate coverage on their commercial vehicles has been helpful. As business owners ourselves, we understand the coverage options that reduce risk and improve operations. Call us today at 928-458-7374 and let us do a coverage check for you. Whatever your needs, the Prescott insurance professionals at Mosaic Insurance can help.